New Westminster's most amazing and fresh penthouse is coming soon. 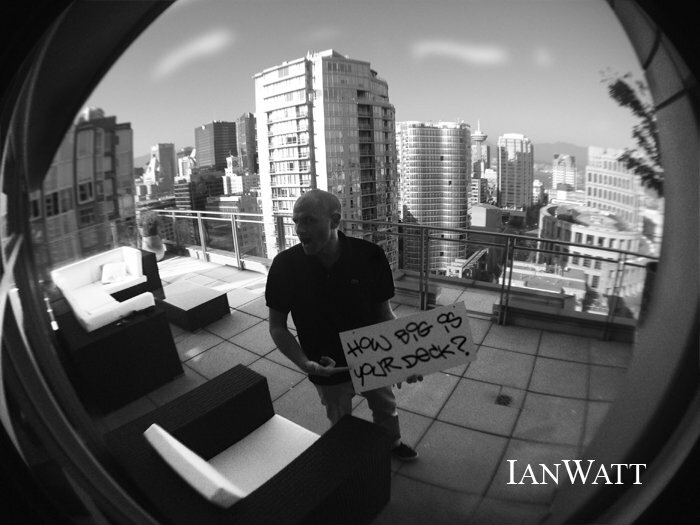 Ian Watt's Creative Design Labs September 2013 - How Big is Your Deck? We are proud to announce that this Sep 29th, 3:00 PM to 4:00 PM we will be hosting an Open House at 1690 West 8th Avenue in Musee in the Kitsilano neighborhood, Vancouver. This is an opportunity to visit this excellent Kitsilano Condo for sale in beautiful Kitsilano. We are proud to announce that this Sep 29th, 1:00 PM to 2:30 PM we will be hosting an Open House at 212 Davie Street in Parkview Gardens in the Yaletown neighborhood, Vancouver. This is an opportunity to visit this excellent Yaletown Condo for sale in beautiful Yaletown. I just sold this Yaletown Condo at 2802 888 Homer St, Vancouver, BC Yaletown. I just sold this Condo at 2704 1189 MELVILLE Street, Vancouver West, British Columbia Coal Harbour. We are proud to announce that this Sep 22nd, 2:00 PM to 3:30 PM we will be hosting an Open House at 717 Jervis Street in Emerald West in the Coal Harbour neighborhood, Vancouver. This is an opportunity to visit this excellent Coal Harbour Condo for sale in beautiful Coal Harbour. We are proud to announce that this Sep 21st, 2:00 PM to 4:00 PM we will be hosting an Open House at 212 Davie Street in Parkview Gardens in the Yaletown neighborhood, Vancouver. This is an opportunity to visit this excellent Yaletown Condo for sale in beautiful Yaletown.